Fundraising | The Latest Fundraising Buzz! Why Do You Love Butter Braid Pastry Fundraising? Fundraising group leaders, parents, sellers, and customers are feeling the Butter Braid pastry fundraising love! To kick-off the New Year right, share your Butter Braid pastry experience by leaving your comments below. 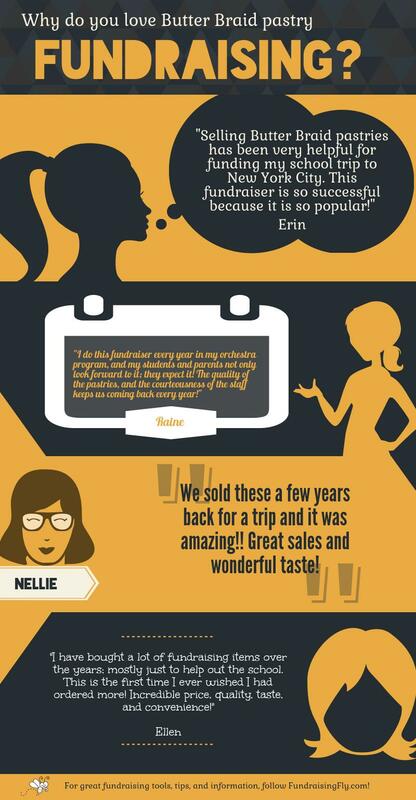 Check out the infographic for some more sweet words that people have shared with us! “My parents couldn’t afford the trip. Then I learned what I could do to change that. I had the chance to fundraise!” stated 15 year old, Maya, as she realized how fundraising would be her path to join her music class on their trip to Nashville, Tennessee. You are more than an amazing fundraising group coordinator; you are enriching the lives of children in so many more ways than you’ll ever know! How? Read the list or check out the infographic below! 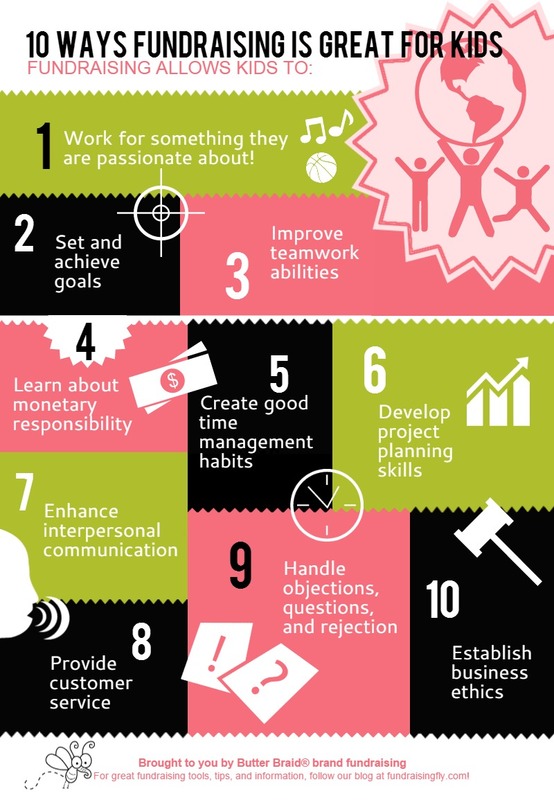 These are life skills that all kids need to learn, develop, and improve. Fundraising is one of the best ways to safely allow kids the opportunity to practice in real life. What special ways have you enriched the lives of others? Please share with us! Focus on the Dollars and Cents – Not the Profit Percents! What you can deposit, is a high, per-item profit on each item sold! Choose a simple fundraiser offering at least $5.00 per item profit. This will help you achieve your goals faster and with less overall effort. Check out the helpful infographic below to see how much a high, per-item profit can help you to maximize your fundraising goals! 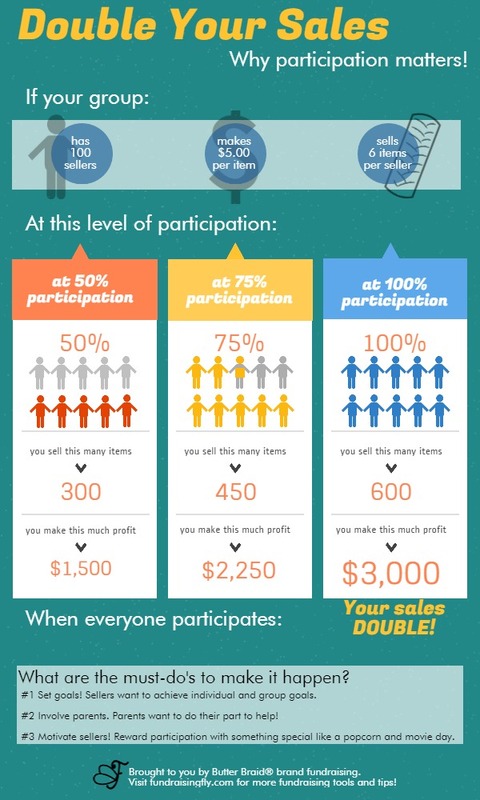 Getting everyone in your group to participate in a fundraising sale can make a big difference in your success! 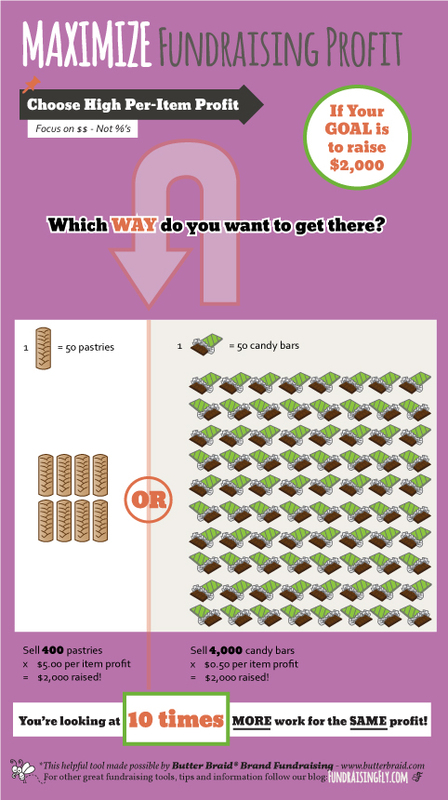 Check out the infographic to see how much of a difference! Talk to your local fundraising expert today to find out other ways to improve your fundraising sales results! Looking to get your sellers motivated? 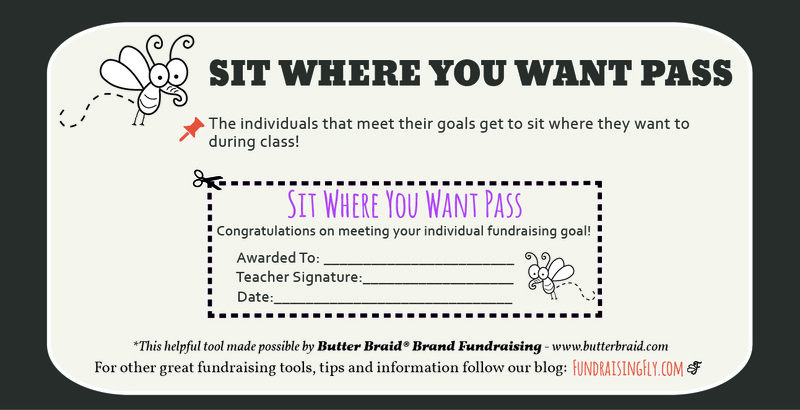 Use this Sit Where You Want Pass to encourage individuals to meet their fundraising goals! Be sure to be check back for more Motivation Monday ideas! Use this Pizza Party pass to encourage your group to meet their individual fundraising goals. Welcome to FundraisingFly.com! Your one stop place for all the new and exciting Fundraising Buzz! We are looking forward to providing you with useful tools, tips, etc to help you with all your fundraising needs! 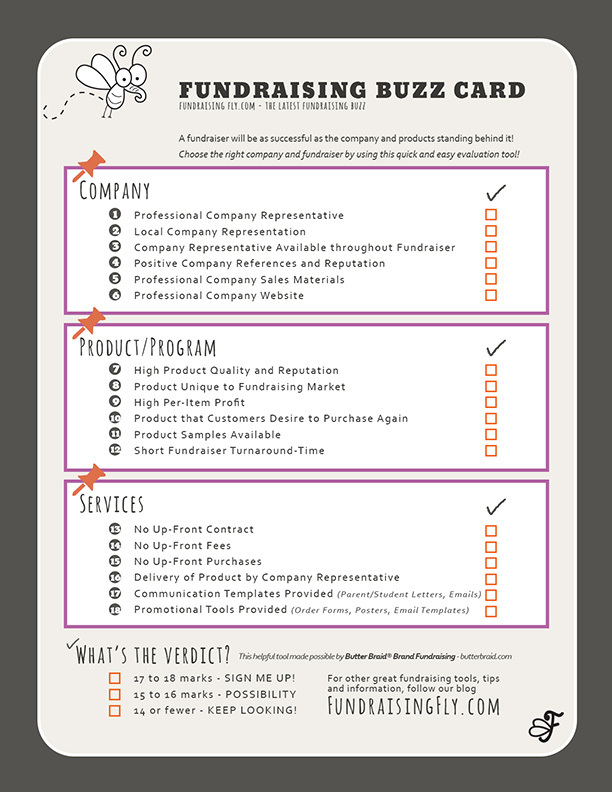 Check out this Fundraising Buzz card and be sure to fill it out when you are searching for your next fundraising company to work with! Be sure to share this blog with all your fundraising friends and family. Hope to see you back soon! Which Fundraiser Is Right For You? How to use the internet to boost your fundraiser’s sales? Enter your email address to follow this blog and receive notifications of new posts and other fundraising communications by email.